According to the daily Kyunghyang Shinmun, 41-year-old Seoul resident Kim Sae-hyeon took the photograph below at 12:51 pm on the 24th while standing near the Cheonggyecheon River. 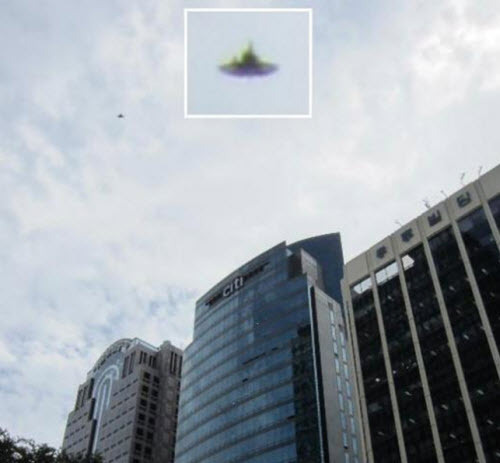 Kim, an interior project manager, claims not to have noticed the UFO until after taking the photo, which has been turned over to a domestic UFO organization (한국UFO조사분석센터). This was the top-viewed story on Naver.com’s society section this week. Earlier this year there were some UFOs in Daejeon.